From our born to run blog. Very good overview on the Olympic games in Vancouver by Google. Everything in reach from a good clear list of all the activities of the day to a walk through the Olympic Park. 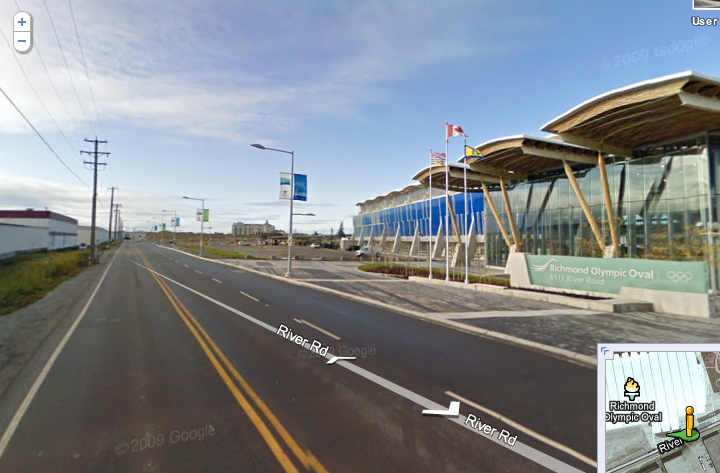 Nice to see how the Olympic oval lays within some kind of industrial business park somewhere outside the city. Also some events look like they are situated amongs trailerparks in the middle of snowy mountains. Not the image that came to mind, with me, to the glamour of the games. It makes it realy come to life.